Outside of Taos, New Mexico is a community of people living in off-the-grid homes made out of recycled and discarded materials — everything from beer bottles to car tires. The homes are called Earthships and were invented by Michael Reynolds in the 1970s. 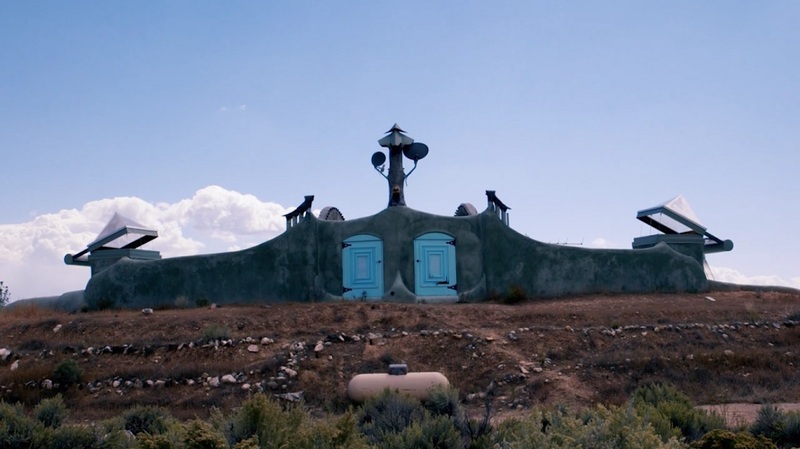 Filmmakers Flora Lichtman and Katherine Wells recently traveled to Taos learn more about the solar- and wind-powered domiciles that Reynolds says he made for a world that’s quickly succumbing to climate change. — Michael Reynolds in Meet the Earthship. It’s a delightful seven-minute documentary. Check it out.